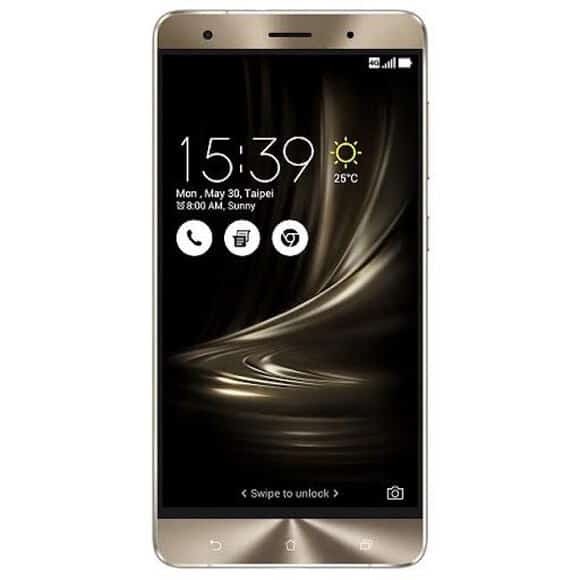 ASUS announced the launch of the latest Zenfone 3 series of smartphones on 17th August 2016 in India. 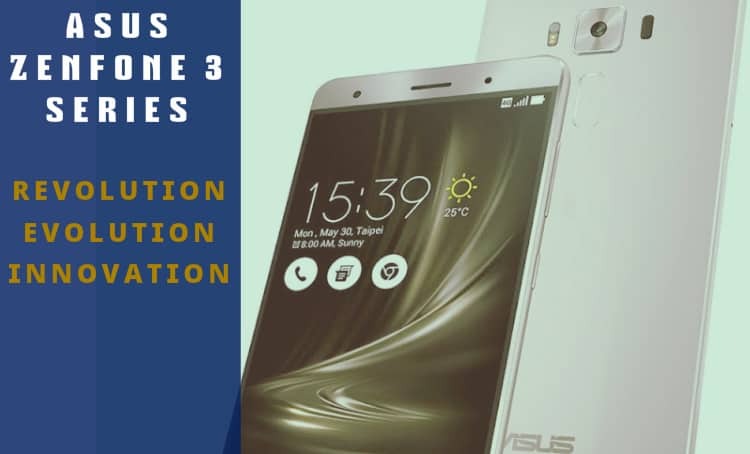 Zenfone 3, Zenfone 3 Deluxe, Zenfone 3 Ultra & Zenfone 3 Laser emancipate consumers with great comfort and outstanding performance. At the same event ASUS also unveiled its ultra thin laptop and PC which provides excellent support for high-end graphics and immersive multimedia experience. All smartphones include exceptional rear and front cameras with stunning features to shoot extra-ordinary videos and take sharp and clear images at any light conditions. The devices also include powerful processors for fast and effective performance and offer a good amount of memory. All devices offer amazing performance and pack powerful batteries as well. Lets have a look at the key components of them one by one and see what makes them special. There are two models available for Zenfone 3, the first one has 5.2 inch display with 75.6% screen to body ratio and the 2nd one has 5.5 inch display with 77.3% S.T.B. ratio. Both models Super IPS+ LCD touchscreen with Full HD ((1920 x 1080) resolution. The phone is ideal for photography and provides excellent visuals for images, apps, videos and games, even in bright sunlight because the brightness can go up to 600nits. ASUS Zenfone 3 has a compact design and slim profile. The dimensions of both phones are 146.87 x 73.98 x 7.69mm for 5.2 inch variant and 152.6 x 77.4 x 7.7mm for 5.5 inch variant. They weigh 144 grams (5.2 inch) and 155 grams (5.5 inch) respectively. The bodies of both variants are constructed with metal and anti-scratch 2.5D Corning Gorilla Glass panels on front and back to provide smooth and solid grip. Both variants ship in three colour combinations Shimmer Gold, Sapphire Black and Moonlight White. Best part of the phone is its high quality 16MP Pixel Master 3.0 rear camera with f/2.0 aperture, 6-element Large lens and the latest Sony IMX298 sensor. The camera is capable of taking exceptional photos of still as well as moving objects in various light conditions. It packs many exciting features such as tracking TriTech Autofocus, which includes three focusing technologies phase detection, laser and continuous contrast-detection auto-focus and provides a clear focus in 0.03 seconds which is 10 times faster than a blink of eyes. The lens is protected from scratches due to Sapphire-glass protection and gives more clarity. The camera also offers Colour Correction Sensor for life-like colours or immersive 4K Ultra HD video recording and Dual tone LED flash to bring realism. You can shoot blur-free videos and take clear pictures as it supports 4-axis image optical as well as 3-axis video electronic image stabilization. For respected selfies in includes 8MP front camera with wide viewing angle of 84-degree. Zenfone 3 is claimed to be the first phone to have Qualcomm Snapdragon 625 chipset. The phone is boosted by power efficient 14nm Octa-core 2.0 GHz ARM Cortex-A53 processor coupled with latest Adreno 506 GPU for PC grade graphics. The phones run on ASUS Zen-UI version 3.0 based on the Android 6.0 Marshmallow which makes them compatible with all latest applications. The 5.2 inch variant offers 3GB RAM along with 32GB internal storage and the 5.5 inch model offers 4GB RAM along with 64GB Memory. Both models pack two card slots, the first one is a Micro SIM slot for 4G and the second one is a Nano SIM card slot for 3G network or Micro SD which can be used to expand memory up to 2TB. The connectivity options of both variants are up to the latest standards as they integrate X9 LTE modem and Wi-Fi 802.11ac MU-MIMO. Both models sport 4G network with support for Reliance Jio VoLTE. Other connectivity options include Bluetooth 4.2 and USB Type-C 2.0. As far as the durability is concerned, 5.2 inch model is equipped with a strong 2650 mAh battery and 5.5 packs 3000 mAh battery capacity which seems to be enough. The inbuilt fastest finger print sensor which can recognize up to 360 degrees and unlocks the phone in 0.22 seconds adds more value to it. 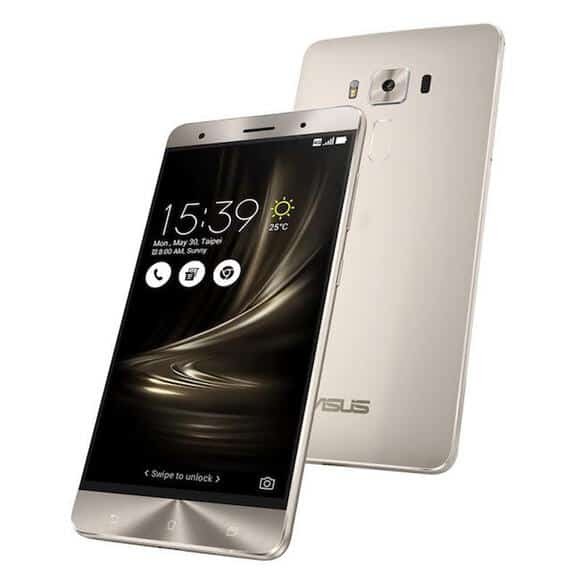 ASUS Zenfone 3 Deluxe a premium phone that combines awesome looks and powerful features. Zenfone 3 Deluxe is fully made of aluminium alloy and boats a stylish design with an invisible antenna which can grab anyone’s attention within a second. The phone offers large 5.7-inch Super AMOLED Full HD (1920 x 1080) display with a colour gamut to enhance the NTSC colour space and an ultra-thin bezel for 79% Screen to Body Ratio. The phone is strong yet light weighted and provides a solid grip in single hand. The phone ships in three colour combinations Sand Gold, Titanium Grey and Glacier Silver. Zenfone 3 Deluxe has Qualcomm Snapdragon 820/821 chipset and is powered by power efficient 14nm quad-core 4x 2.4GHz 64-bit Qualcomm Kryo processor coupled with Adreno 530 GPU. The phone integrates X12 LTE modem and offers 6GB RAM for smooth and quick performance while running heavy apps or doing multitasking. The phone supports up to 256GB storage with UFS 2.0. Due to its powerful processor, enough memory and latest graphics the phone is ideal for games, videos and apps. Zenfone 3 Deluxe boasts a stunning 23MP rear camera with Pixel Master 3.0 technology, new Sony IMX318 image sensor and wide f/2.0 aperture lens. You can take blur free high-resolution images with less noise at low light conditions due to its revolutionary four-axis optical image stabilization technology. For stable 4K UHD videos it offers an exceptional three-axis electronic image stabilization system. The camera also includes many other exciting features such as 0.03 second subject focus TriTech auto-focus system, Colour correction sensor and Dual tone LED flash. The outstanding 8MP front camera provides wide viewing angle of 84 degree to cover more area. The phone gives wireless support for WI-FI 802.11ac, Mi MO Wi-Fi, 5G/2.4G, Up to Cat 13 LTE and 3CA. The other connectivity option includes Bluetooth 4.2, USB Type-C 3.0, GPS, GLONASS, AGPS and BEIDOU. 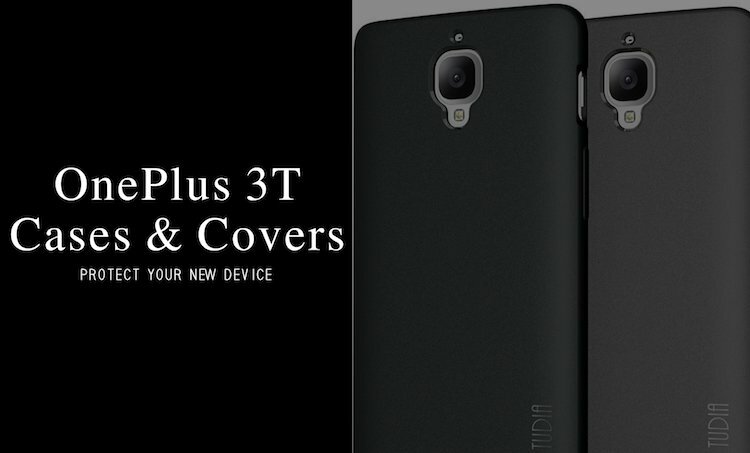 The phone has 2 SIM card slots, the first one supports Micro SIM (4G) and the second one houses Nano SIM (3G) or Micro SD up to 128GB. The phone packs a 3000 mAh battery with Quick Charge 3.0 technology to cut power resource time. The phone also has a fast fingerprint sensor to unlock the phone at a fraction of a second. Hires Audio technology while using the certified headphone takes the audio experience to another level. ASUS Zenfone 3 Ultra is build totally with aluminium alloy and looks ultimate. 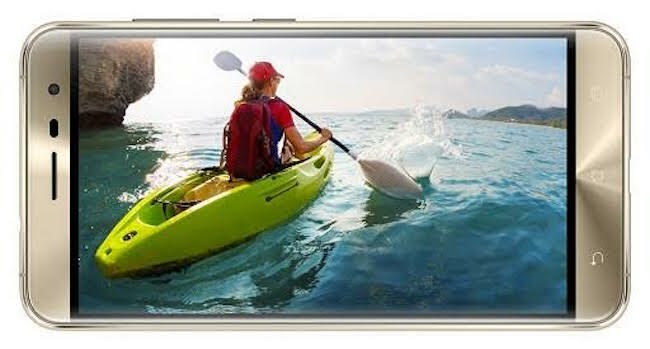 It offers a large 6.8-inch Full HD IPS LCD display with a 95% NTSC colour gamut for lavish and lifelike images in bright outdoors as well as indoors. The ultra-slim bezel provides 79% Screen to Body Ratio which makes it highly preferable for watching videos and moving or playing games. 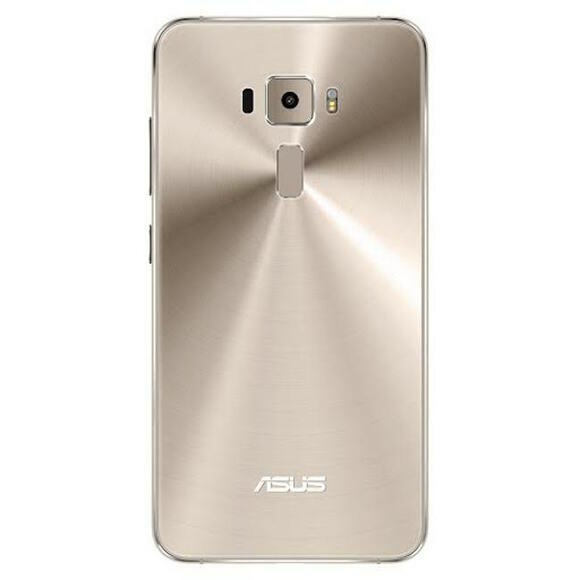 The phone has all the qualities that can redefine your multimedia experience such as unique ASUS Tru2Life+ Video technology, which tackles a superior 4K Ultra HD image processor to enhance the efficiency of each pixel in every frame before it exhibits and provides a high level of clarity and superb contrast. Zenfone 3 Ultra also performs exceptionally well with its NXP smart amplifier and dual powerful five-magnet stereo speakers that not only provide awesome sound quality but also protects speakers from any sort of damage. While using the certified headset users can take the benefit of Hi-Res Audio (HRA) which offers 4 times better sound quality than CDs. 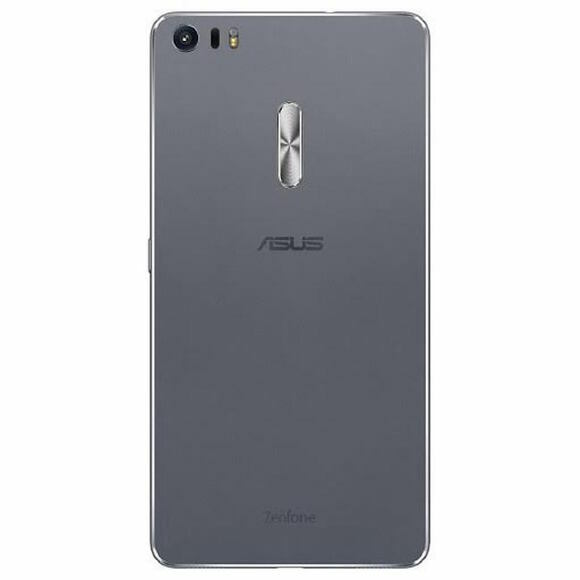 Zenfone 3 Ultra boasts the same 23MP high-resolution 23MP camera with ASUS TriTech auto-focus system that the Zenfone 3 Deluxe has. The 8MP front camera also has similar features. The phone is equipped with fast and powerful Snapdragon 652 Octa-core 28nm processor bundled with Adreno 510 graphics and houses X8 LTE modem along with Wi-Fi 802.11ac MU-MIMO connectivity. The phone supports up to 4GB of RAM and 64 GB internal storage. The phone includes Bluetooth 4.2 and USB Type-C 2.0 ports for connectivity. There is an advance fingerprint sensor which can register 5 fingers and recognize up to 360 degree. The Zenfone 3 Ultra boasts a strong 4600mAh battery which not just lasts longer, but also can be used as a power bank for other mobiles with 1.5A output. The phone sports Quick Charge 3.0 technology to reduce the charging time. Well! Zenfone 3 Laser is the cheapest phone in Zenfone 3 serious phones and includes the same high quality Pixel Master 3.0 technology camera with 13MP sensor which takes the photography experience to another level. The rear camera also boasts many amazing features like f/2.0-aperture lens to bring more light and capture clear images with low noise in dark and fast laser auto-focus which focuses the object in just 0.03 seconds. To shoot clear and blur free videos it has electronic image stabilization and automatic colour-correction sensor for realistic imaging. The phone has an innovatory symmetrical design with diamond-cut edges. It is beautifully crafted with aluminium-alloy and 2.5D curved glass touchscreen which makes it luxurious and eye catchy. The phone looks premium and provides good grip in one hand. 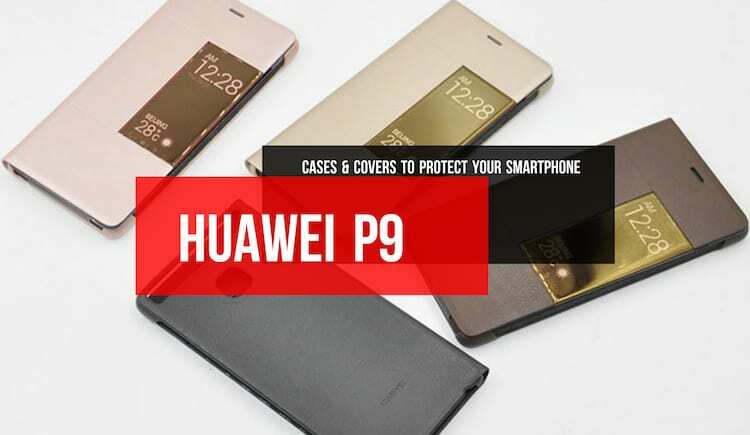 It also includes the same fast, accurate and effective fingerprint sensor which enables convenient unlocking of the phone within 0.3 seconds and registers up to five different fingerprints. 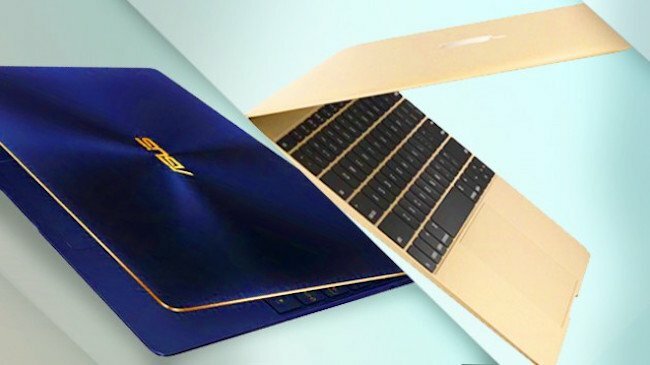 ASUS Zenbook 3 an ultra slim laptop with 11.9mm thick chassis and weighs 910 grams only. The Laptop is built with strong aerospace-grade aluminium alloy and looks elegant. It offers a fast Intel Core i7 processor coupled with 16GB of 2133MHz RAM. The laptop also sports PCIe 3 x4 SSD up to 1 TB, USB Type C port and highly effective quad-speaker audio. The Zen Book 3 features 12.5-inch display with colour gamut for up to 72% NTSC colour space. The screen is protected by scratch-resistant Corning Gorilla Glass 4. You get a maximum display with minimum fingerprints due to a slim bezel design. The laptop provides maximum 9 hours of battery backup with mixed usage and boasts fast charging technology that brings 60% battery within 49 minutes. 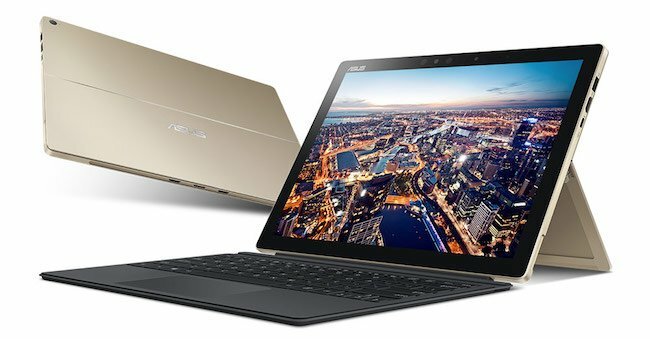 ASUS Transformer 3 is an ultra slim mobile device with 8.35mm thickness and elegant design with diamond cut edges. The laptop provides smooth typing experience with Transformer Cover backlit Keyboard by ASUS with laptop-grade 1.4mm key travel. The laptop features clear 12.6-inch display with a screen resolution of 2880 x 1920 pixels and a 275ppi density for sharp and detailed visuals. It offers a gamut of 121% sRGB colour space for lifelike and vibrant colours. Its unique USB Type-C connector provides support to USB 3.1 Gen 2 equipment and users can transfer data at fast 40Gbps due to Thunderbolt 3 which also provides support for external 4K UHD displays. It boasts a 13MP rear camera which allows users to take outstanding pictures as well as shoot high quality videos. The device is highly suitable for high-end graphics and 4K Ultra HD gaming. The two variants of Zenfone 3 series is priced starting at INR 21,999 and will be available from August 17th 2016 on all famous ecommerce websites such as Snapdeal, Amazon, Tata CLiQ, Paytm, Flipkart, ShopClues along with leading offline retail stores across the country. The Zenfone 3 Deluxe is priced starting at INR 49,999, Zenfone 3 Ultra is priced at INR 49,999 and Zenfone 3 Laser is will be sold at starting price from INR 18,999 in India. All three devices will be available from September 2016 on leading e-commerce sites like Amazon, Flipkart, Snapdeal, ShopClues, Paytm, Tata CLiQ and leading retail stores along with ASUS Exclusive Stores across the country. Zen Book 3 is priced at INR 1,47,990 and Transformer 3 Pro is priced at INR 1,44,990. They will use the same platform to sell and will be released by October 2016. ASUS is a leading brand in technology and has always come up with excellent products that offer innovative solutions and make our daily life more cheerful. This time they have launched a range of products with exceptional configuration and awesome designs. These smartphones, laptop and PC have the ability to provide immersive entertainment experience and can surely storm the market. It would be interesting to see how they influence the Indian crowd in the near future.